Viet Nam may be focused on building upwards, but what's happening underground is perhaps more exciting than the latest skyscraper -- think hidden caves large enough for 40-story buildings and wartime tunnels traversing the earth beneath your feet, according to CNN. The American television channel run article themed “Underground in Viet Nam: Caves, tunnels and wine cellars,” saying that some of Viet Nam's most impressive features are found well below the surface. But you won’t find anything remotely urban here. 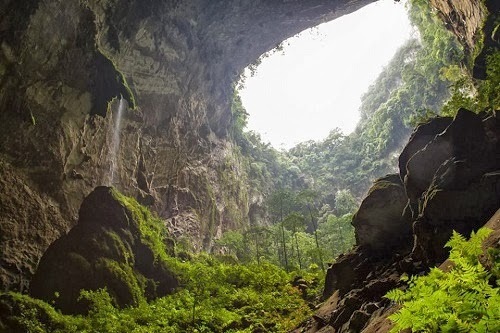 In the world’s largest cave passage lofty stalagmites, some shooting as high as 70 meters, stand in for concrete office blocks while shafts of light from above have led to wild gardens taking root on the cave’s floor. 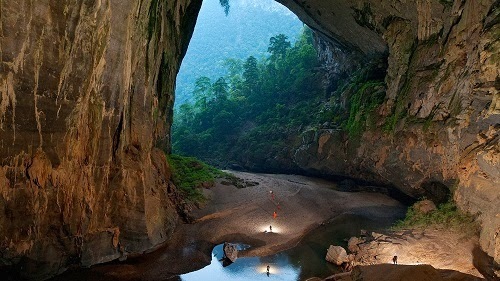 Son Doong is one of the many caves underneath the 85,754 hectares of park, which holds UNESCO World Heritage site honors. While the limestone karst landscape on top is impressive, the system of caves, grottoes and underground rivers give visitors a distinct “Journey to the Center of the Earth” experience. Getting there involves a six-hour trek into the jungle. 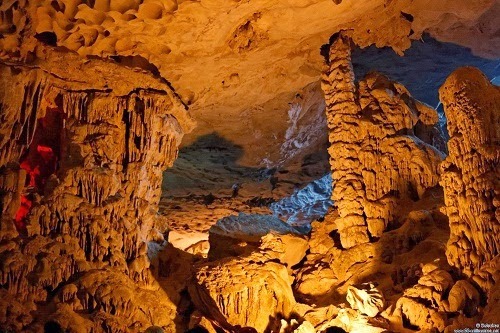 Therefore the two caves most visitors frequent are the area’s namesake Phong Nha and Thien Duong (also known as Paradise Cave). The spacious cavern consists of two chambers of stalagmites and stalactites lit up by rainbow-colored fluorescent lights. It may seem meager compared to Phong Nha-Ke Bang National Park but it is still worth exploring. Local guides delight in pointing out parts of the cave’s bumpy interior that resemble human and animal forms and at busy times tour guides’ red lasers dart frantically around the ceiling. In spite of the crowds the place still feels expansive, with the ceiling a full 30 meters above. A hunched stagger through the maze of Cu Chi tunnels is not for the claustrophobic -- even in the sections that have been enlarged for Westerners. 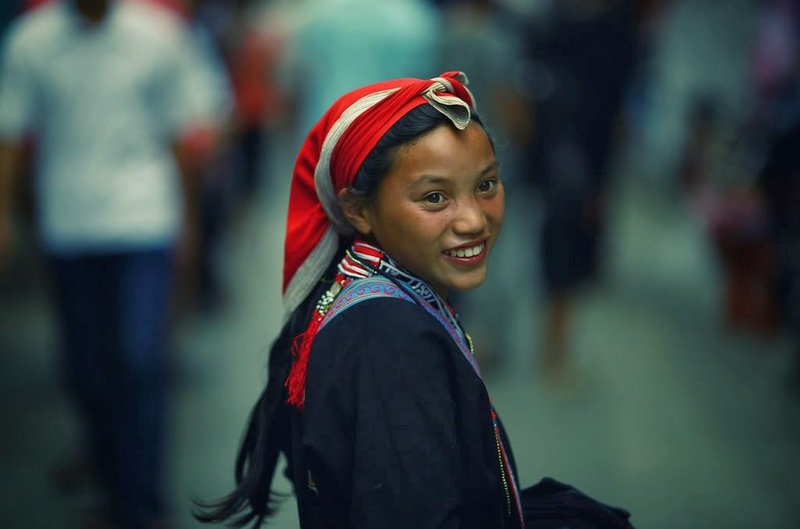 The constricting feeling visitors endure for only a few minutes, however, cannot compare to what life was like for the thousands of Vietnamese who spent years underground here during the Viet Nam-American war. Construction began on the web of subterranean paths in the 1940s and eventually the system spread out over 250 kilometers, stretching all the way to the Cambodian border. Inside were hospitals, separate quarters for living, dining, sleeping and military planning, all used by troops to conduct their business secretly beneath the earth for 20 years. 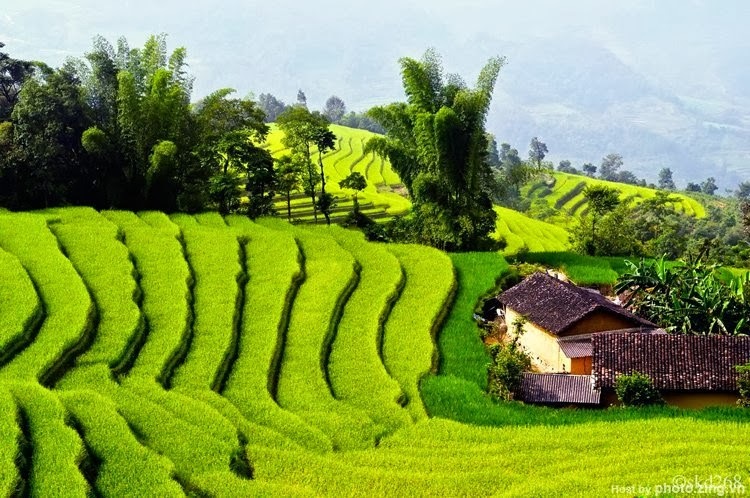 Today only two sections are open to the public, Ben Dinh and Ben Duoc, situated 60 and 70 kilometers (respectively) northwest of Saigon. Besides going through an expanded part of the tunnel, visitors can marvel at once-deadly booby traps or even fire off a few rounds at the onsite range. 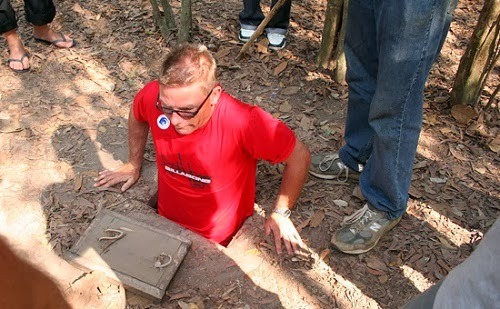 The Vinh Moc tunnel system amounts to just 1% of the length of Cu Chi, but still stretches two kilometers. It doesn’t have the same “wow” factor but when you consider the extremes the families went to that built it, it’s easy to be impressed. Vinh Moc’s location in central Viet Nam was under siege from aerial raids during the country’s war with the United States. For protection, villagers moved life underground and created a subterranean home. The setup consists of three levels, the lowest of which is 23 meters deep. It took around 18 months to carve it all out and the locals used it for six years -- during which time 17 babies were reportedly born inside. Stumbling into Ha Noi's quiet Thang Long archaeological dig site, it’s easy to feel like you’re somewhere you’re not supposed to be. Unlike the capital’s other touristy spots what is left of the ancient citadel -- Ha Noi's equivalent to Beijing’s Forbidden City -- and the archaeological dig across the road from the main buildings are relatively quiet. 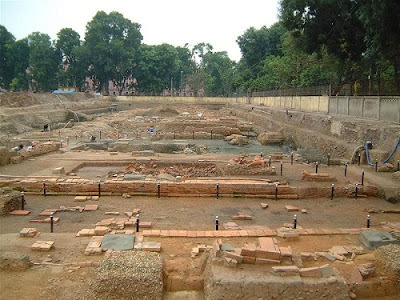 The dig site covers 33,000 square meters of prime Ha Noi real estate and includes remnants from dynasties that have ruled the country over the last 1,000 years. 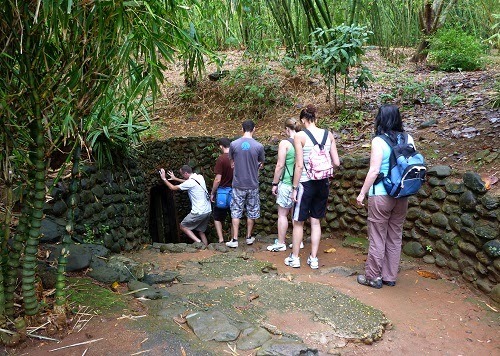 Visitors make their way along an elevated walkway past wells, dried-up waterways, and many a pile of stones. The signs along the path are all in Vietnamese and unless you have a strong interest in archaeology you may prefer the still-standing buildings across the street, from which Ha Noi's leaders orchestrated their troops during the Viet Nam War. Guests at Hanoi’s Sofitel Legend Metropole during periods of wartime tumult were treated to a more spacious underground experience. In the summer of 2011 workers renovating the hotel’s Bamboo Bar stumbled upon a bunker that had long been forgotten. The 40-square-meter space, two meters below the bar floor, is made up of five rooms and two corridors. Reliable sources say American folk singer Joan Baez once gave an impromptu performance during a 1972 raid, helping calm the nerves of the other guests. Judging by what was found when it was first reopened, those sheltered below also relaxed with the help of a little French vino. The management of the 110-year-old hotel aren’t keen to open up the shelter to tour groups just yet -- but they also don’t want to let this opportunity pass them by. There’s talk about it becoming a museum or wine cellar, but nothing concrete has been decided yet.